The London Bridge Centre Inc held its Annual General Meeting on Saturday September 22, 2018. Board terms expired on September 30, 2018 for Al Edwards, Tom Jolliffe and Bruce Moor. Nominations to fill vacant Board positions were received for Al Edwards, Tom Jolliffe, Bruce Moor and Judy Stirling. These nominations were presented to and approved by the membership at the 2018 Annual General Meeting. Subsequent to the AGM, the Board met and appointed: Al Edwards as President, Judy Stirling as Vice President, Tom Jolliffe as Treasurer, Dwight Bender as Past President, and Jackie Potters as Secretary. Board terms are for three years and expire on September 30 of 2019, 2020 and 2021 respectively, depending on year of appointment to the Board. An Annual General Meeting of the membership is to be held each year prior to September 30. LBC members will be asked to nominate candidates for vacant Board positions and elect new Board members from the slate of candidates presented at the Annual General Meeting. I first learned to play bridge during university. I spent many hours in the Maths lounge at U of Waterloo playing bridge, but still managed to graduate! I started playing duplicate after taking lessons from Arlene and earned my first fraction of an ACBL masterpoint in 2003. I enjoy the challenge of analyzing the clues and "solving" each hand in communication with partner. The social aspect also adds significantly to my enjoyment of the experience. Sue and I have two daughters and now a granddaughter and grandson, and we are fortunate to have our extended families nearby. I'm a retired actuary, having thoroughly enjoyed my career with London Life, Great-West Life and Canada Life. Volunteer activities in my community and my profession have also been a priority. I'm also an avid golfer. You can tell that by my golfer's tan! It wasn't difficult to become involved with the Board of the London Bridge Centre. Sue and I both believe bridge has much to offer to many in the community and we want to see it grow. That needs volunteers to make it happen - so we're in. My first introduction to this amazing game was in my teen years as my parents were avid players. While playing bridge in University, we would often move all of the potted plants in our student lounge to the corner to create a barrier where the profs could not see us playing in our marathon sessions. After graduation, the next 40 years were dedicated to my family and my career as a psychotherapist. About five years ago, a friend invited me to play and I've fallen in love with the game all over again. It’s great to be back at the table where the camaraderie is wonderful and the intellectual challenges are limitless. I'm delighted to be a board member as I want to give back to the club and to this game for all of the joy it has given me. When I’m not playing bridge, I am thinking about bridge as I golf, paint, and garden. I started playing bridge in 1970 and have always liked the challenge, diversity, competitiveness and mental anguish. After all, "there's no way to go but up". While I played and studied bridge throughout my career teaching high school mathematics, I focused more on the game after I retired in 2001 and as I advanced in bridge I learned frustration can take on a whole new meaning! Bridge and the bridge community have contributed greatly to my life. Being part of the founding Board of the London Bridge Centre provides me with a unique opportunity to contribute to the enjoyment of the game for others. My passion for bridge seldom takes a back seat. However, music, both vocal and instrumental can take the place of a great bridge game - at least for a short while! Time with family and friends can never be replaced by bridge though - after all, it's just a game! I've had the opportunity to travel throughout Canada and the US and met many new friends and acquaintances though the common thread of bridge. There is a world of culture and nature out there to experience while participating in competitive bridge. The mental aspect of the game keeps your mind active and the peripherals are the "icing on the cake". Although I have played kitchen bridge in the past, I had the privilege of taking my first set of beginner lessons with Marie Wiley last year. I fell in love with the game and am very excited about our new club. I love the challenge, the incredible layers of the game, and meeting such wonderful new friends. I have been a nurse and a teacher, and now, I consider bridge my new career! Someone told me they decided not to start playing bridge because it was addicting. I totally agree but am loving it any way! I am truly touched by the dedication and hard work that has gone into the start up of this club. I am honoured to have been asked to join the Board of Directors and just want to do my part to help keep this club a positive and fun place to play bridge. I am very fortunate to be married to a wonderful man, have a son and a recently married daughter. Our family loves to spend any time we can at our cottage on Lake Huron. I enjoy tennis, walking and hot yoga when I am not playing bridge. My secret hope is to convince my family to become bridge players. Bridge has become a passion for me and I hope to meet you and share this wonderful game with you at the LBC! Like others of my generation, I learned to play bridge at home, and gained a little skill playing duplicate as a graduate student at Queen’s University in Kingston. Also like others, bridge remained an occasional recreational activity through the years, as a career in research at Queen’s and Western, and the demands of raising a family (2 children, a daughter and a son) took precedence. 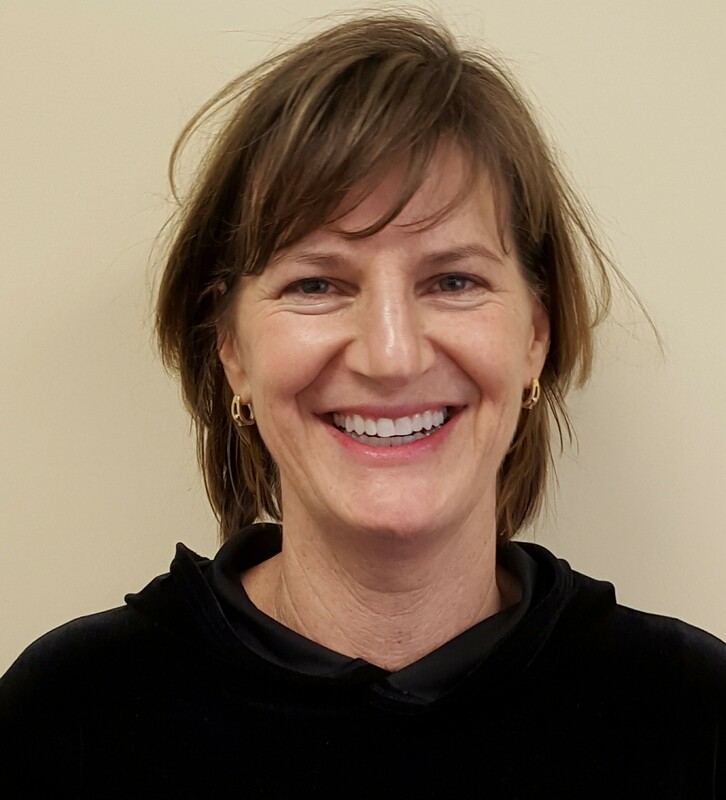 It was a social bridge group at First-St. Andrews United Church that was the catalyst to re-igniting my interest in the game, and it was also members of that group who steered Susan Wark and I to Fokes to learn to play duplicate. After little more than a year, with very little playing experience, I found myself heading north to Haliburton in the company of Dwight Bender, Peter Tuttle and Terry Wright to take the ACBL Club Director’s course, and the rest, as they say, is history. Although being a director can have a negative impact on one’s ability to progress as a player, I have found enjoyment in this role, making numerous new friends and gaining an appreciation for the importance of the game in the lives of all who play on a regular basis. As the London Bridge Centre develops into a full-featured, modern bridge club, the opportunity to contribute as a club director to an even more vibrant bridge community in London is a major reason for being on the LBC Board. It is early in the journey, but it is a journey that promises numerous rewards – social, intellectual, recreational and, every once and a while, some gold points! When I left home to attend school, I discovered that everyone played bridge. I begged my friends to teach me and after about five minutes of instruction I was playing my first game. I had no idea I would be busy learning this game ever since. In Kitchener-Waterloo my bridge experience included teaching, directing and club management. Upon moving to London in 2015 and joining LBC, Dwight Bender invited me to serve on the Education Committee. I hope to bring to the board understanding of all aspects of club bridge management plus years of experience working with volunteers and boards of directors. LBC is a fabulous bridge club. Ed and I are touched with the warm welcome we have received and I am excited to be able to contribute to our continuing success. Our blended family includes three daughters, three grandsons and two dogs. I am a retired administrator from the University of Waterloo, a CPA, and every now and then able to count to 13 at the bridge table! I grew up in a family of games players. About the age of 9, my brother, sister and I were taught the game of bridge by our grandparents. A few years later, we managed to teach our mother to play, which really helped give us all something to do on snow days. 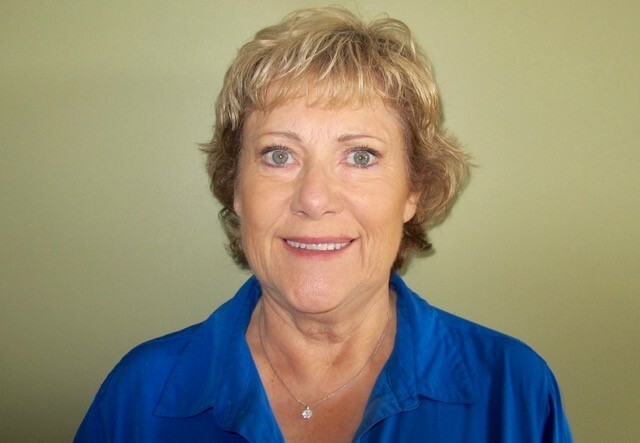 I worked for 40 years as a health care professional and 39 of those years were in an upper management position in Long Term Care. When I retired, my brother introduced me to duplicate bridge and I subsequently became hooked. The London Bridge Centre has given me an opportunity to learn, share and enjoy interacting with many interesting individuals. I look forward to working with the board and our members to help increase the awareness of the programs and resources offered by London Bridge Centre. Much of my parent's social life revolved around playing bridge. As a child, they often got me to play dummy. In later years, Saturday night bridge took on a decidedly Canadian theme and was played in four sessions - before the hockey game; first intermission; second intermission; and, during Juliette! I love the social interaction and the camaraderie of the game. As well, the intellectual challenge of trying to continually improve your bridge skills is unparalleled. I felt the London bridge community was underserviced and so becoming involved on the Board was a way to broaden opportunities for all players to enjoy the game. I'd like to help build the London Bridge Centre into one of the leading bridge clubs in Canada. Before focusing on bridge, I spent my career in the investment organization of London Life and then managing a credit union. But bridge isn't my entire life. I have an ambition to cycle from Budapest to Lisbon. I've accomplished about half of this route so far. There are so many roads,and so little time. I'll just have to keep trying to cycle all the way to Lisbon! I started playing bridge in December 2015. I undertook several LBC courses offered by Marie Wiley and Audrey Craig plus attended the Tuesday afternoon sessions directed by Peter Tuttle. Mentoring by May James, Gary Allen Price and others less formally, has helped me advance in my bridge skills. I retired in June 2015 after two careers, one as a financial advisor, and the other as an operations and project planner (15/25 years). I was active in competitive curling at Highland and also volunteered as a coach for bantam and juniors boys mixed curling but decided to leave curling in May 2014 after 35 years coaching. I was asked by Dwight to join the LBC board and accepted, not knowing the details of what the member and volunteer responsibilities entailed. I have learned quickly that there are many people contributing to the success of our club. I welcome your requests for information and suggestions to improve our facility. The heart of my life will always be my family, my husband, our children, their spouses and our delightful grandsons, and of course, dear friends. But, my goodness, I love playing bridge! Almost four years ago I registered for my first bridge lessons. As a retired educator I have always valued the notion of lifelong learning and thought that bridge could be a game that would offer opportunities for challenging my ability to focus and also provide some social interaction. The move to duplicate bridge is more recent. Little did I understand that the challenges could be rather humbling at times, but the payoff would bring enjoyment beyond my expectations. I sincerely appreciate the modelling, patience, ongoing support and constant encouragement of teachers and mentors. Their dedication and generous time commitment provide understanding of the principles of play but also nurture respect for our bridge community. I admire the vision of the founders of the London Bridge Centre who grasped the value of a game that brings people together for both enjoyment and the pursuit of excellence. Their dedication and the ongoing organizational effort undertaken by the Board of Directors have promoted a positive environment to enjoy the game. The many people who volunteer their time to ensure our facility is welcoming and in good order support that goal. However, what I value most are my newfound bridge buddies and the atmosphere of collegiality that result from a shared partnership and effort by LBC members. I hope to make some small contribution to that end. Growing up in a home where lots of card games were played, it was inevitable I would learn to play bridge at some time. I played some bridge as a teenager. Then life as a student at Queen's University, a career as a Chartered Accountant and a second career raising two daughters took over. Around 2003 I took lessons from Arlene Lundgren and that opened up the world of bridge to me again. The mental exercise of the game is wonderful and bridge also provides great social benefits. My husband, Al, and I love going to tournaments. I got involved with founding the London Bridge Centre because I really want bridge to continue in London. I feel a member-owned club allows all players to contribute to the success of the club. Our goal is to have a great facility with a welcoming atmosphere for both experienced players and those just discovering this wonderful game! When I'm not playing bridge I love spending time with our adorable grandchildren. Our granddaughter doesn't play bridge yet, but is quite good at "Go Fish" and "War"! I started playing bridge in 1970 and have always liked the challenge, diversity, competitiveness and mental anguish. After all, "there's no way to go but up". While I played and studied bridge throughout my career teaching high school mathematics, I focused more on the game after I retired in 2001 and as I advanced in bridge I learned frustration can take on a whole new meaning! Bridge and the bridge community have contributed greatly to my life. Being part of the founding Board of the London Bridge Centre provides me with a unique opportunity to contribute to the enjoyment of the game for others. My passion for bridge seldom takes a back seat. However, music, both vocal and instrumental can take the place of a great bridge game - at least for a short while! Time with family and friends can never be replaced by bridge though - after all, it's just a game! I've had the opportunity to travel throughout Canada and the US and met many new friends and acquaintances though the common thread of bridge. There is a world of culture and nature out there to experience while participating in competitive bridge. The mental aspect of the game keeps your mind active and the peripherals are the "icing on the cake". Growing up in a home where lots of card games were played, it was inevitable I would learn to play bridge at some time. I played some bridge as a teenager. Then life as a student at Queen's University, a career as a Chartered Accountant and a second career raising two daughters took over. Around 2003 I took lessons from Arlene Lundgren and that opened up the world of bridge to me again. The mental exercise of the game is wonderful and bridge also provides great social benefits. My husband, Al, and I love going to tournaments. I got involved with founding the London Bridge Centre because I really want bridge to continue in London. I feel a member-owned club allows all players to contribute to the success of the club. Our goal is to have a great facility with a welcoming atmosphere for both experienced players and those just discovering this wonderful game! When I'm not playing bridge I love spending time with our adorable grandchildren. Our granddaughter doesn't play bridge yet, but is quite good at "Go Fish" and "War"! Much of my parent's social life revolved around playing bridge. As a child, they often got me to play dummy. In later years, Saturday night bridge took on a decidedly Canadian theme and was played in four sessions - before the hockey game; first intermission; second intermission; and, during Juliette! I love the social interaction and the camaraderie of the game. As well, the intellectual challenge of trying to continually improve your bridge skills is unparalleled. I felt the London bridge community was underserviced and so becoming involved on the Board was a way to broaden opportunities for all players to enjoy the game. 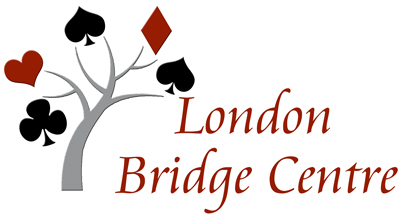 I'd like to help build the London Bridge Centre into one of the leading bridge clubs in Canada. Before focusing on bridge, I spent my career in the investment organization of London Life and then managing a credit union. But bridge isn't my entire life. I have an ambition to cycle from Budapest to Lisbon. I've accomplished about half of this route so far. There are so many roads,and so little time. I'll just have to keep trying to cycle all the way to Lisbon! Like others of my generation, I learned to play bridge at home, and gained a little skill playing duplicate as a graduate student at Queen’s University in Kingston. Also like others, bridge remained an occasional recreational activity through the years, as a career in research at Queen’s and Western, and the demands of raising a family (2 children, a daughter and a son) took precedence. 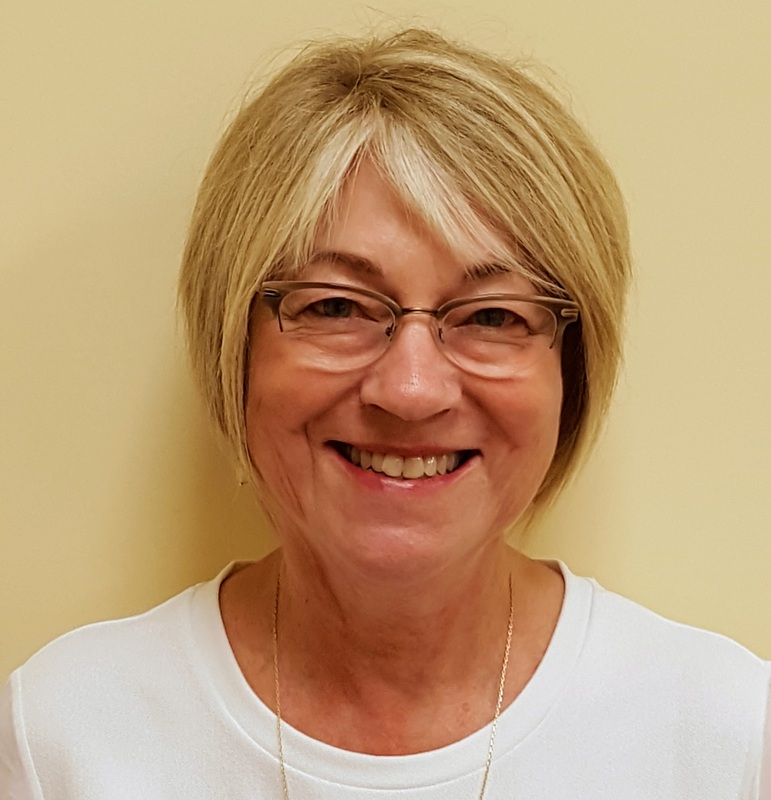 It was a social bridge group at First-St. Andrews United Church that was the catalyst to re-igniting my interest in the game, and it was also members of that group who steered Susan Wark and I to Fokes to learn to play duplicate. After little more than a year, with very little playing experience, I found myself heading north to Haliburton in the company of Dwight Bender, Peter Tuttle and Terry Wright to take the ACBL Club Director’s course, and the rest, as they say, is history. Although being a director can have a negative impact on one’s ability to progress as a player, I have found enjoyment in this role, making numerous new friends and gaining an appreciation for the importance of the game in the lives of all who play on a regular basis. As the London Bridge Centre develops into a full-featured, modern bridge club, the opportunity to contribute as a club director to an even more vibrant bridge community in London is a major reason for being on the LBC Board. It is early in the journey, but it is a journey that promises numerous rewards – social, intellectual, recreational and, every once and a while, some gold points! I started playing bridge in December 2015. I undertook several LBC courses offered by Marie Wiley and Audrey Craig plus attended the Tuesday afternoon sessions directed by Peter Tuttle. Mentoring by May James, Gary Allen Price and others less formally, has helped me advance in my bridge skills. I retired in June 2015 after two careers, one as a financial advisor, and the other as an operations and project planner (15/25 years). I was active in competitive curling at Highland and also volunteered as a coach for bantam and juniors boys mixed curling but decided to leave curling in May 2014 after 35 years coaching. I was asked by Dwight to join the LBC board and accepted, not knowing the details of what the member and volunteer responsibilities entailed. I have learned quickly that there are many people contributing to the success of our club. I welcome your requests for information and suggestions to improve our facility. I grew up in a family of games players. About the age of 9, my brother, sister and I were taught the game of bridge by our grandparents. A few years later, we managed to teach our mother to play, which really helped give us all something to do on snow days. I worked for 40 years as a health care professional and 39 of those years were in an upper management position in Long Term Care. When I retired, my brother introduced me to duplicate bridge and I subsequently became hooked. The London Bridge Centre has given me an opportunity to learn, share and enjoy interacting with many interesting individuals. I look forward to working with the board and our members to help increase the awareness of the programs and resources offered by London Bridge Centre. Although I have played kitchen bridge in the past, I had the privilege of taking my first set of beginner lessons with Marie Wiley last year. I fell in love with the game and am very excited about our new club. I love the challenge, the incredible layers of the game, and meeting such wonderful new friends. I have been a nurse and a teacher, and now, I consider bridge my new career! Someone told me they decided not to start playing bridge because it was addicting. I totally agree but am loving it any way! I am truly touched by the dedication and hard work that has gone into the start up of this club. I am honoured to have been asked to join the Board of Directors and just want to do my part to help keep this club a positive and fun place to play bridge. I am very fortunate to be married to a wonderful man, have a son and a recently married daughter. Our family loves to spend any time we can at our cottage on Lake Huron. I enjoy tennis, walking and hot yoga when I am not playing bridge. My secret hope is to convince my family to become bridge players. Bridge has become a passion for me and I hope to meet you and share this wonderful game with you at the LBC! Director at Large - 2017 to 2020 The heart of my life will always be my family, my husband, our children, their spouses and our delightful grandsons, and of course, dear friends. But, my goodness, I love playing bridge! Almost four years ago I registered for my first bridge lessons. As a retired educator I have always valued the notion of lifelong learning and thought that bridge could be a game that would offer opportunities for challenging my ability to focus and also provide some social interaction. The move to duplicate bridge is more recent. Little did I understand that the challenges could be rather humbling at times, but the payoff would bring enjoyment beyond my expectations. I sincerely appreciate the modelling, patience, ongoing support and constant encouragement of teachers and mentors. Their dedication and generous time commitment provide understanding of the principles of play but also nurture respect for our bridge community. I admire the vision of the founders of the London Bridge Centre who grasped the value of a game that brings people together for both enjoyment and the pursuit of excellence. Their dedication and the ongoing organizational effort undertaken by the Board of Directors have promoted a positive environment to enjoy the game. The many people who volunteer their time to ensure our facility is welcoming and in good order support that goal. However, what I value most are my newfound bridge buddies and the atmosphere of collegiality that result from a shared partnership and effort by LBC members. I hope to make some small contribution to that end. Director at Large - 2017 to 2020 When I left home to attend school, I discovered that everyone played bridge. I begged my friends to teach me and after about five minutes of instruction I was playing my first game. I had no idea I would be busy learning this game ever since. In Kitchener-Waterloo my bridge experience included teaching, directing and club management. Upon moving to London in 2015 and joining LBC, Dwight Bender invited me to serve on the Education Committee. I hope to bring to the board understanding of all aspects of club bridge management plus years of experience working with volunteers and boards of directors. LBC is a fabulous bridge club. Ed and I are touched with the warm welcome we have received and I am excited to be able to contribute to our continuing success. Our blended family includes three daughters, three grandsons and two dogs. I am a retired administrator from the University of Waterloo, a CPA, and every now and then able to count to 13 at the bridge table! My first introduction to this amazing game was in my teen years as my parents were avid players. While playing bridge in University, we would often move all of the potted plants in our student lounge to the corner to create a barrier where the profs could not see us playing in our marathon sessions. After graduation, the next 40 years were dedicated to my family and my career as a psychotherapist. About five years ago, a friend invited me to play and I've fallen in love with the game all over again. It’s great to be back at the table where the camaraderie is wonderful and the intellectual challenges are limitless. I'm delighted to be a board member as I want to give back to the club and to this game for all of the joy it has given me. When I’m not playing bridge, I am thinking about bridge as I golf, paint, and garden.